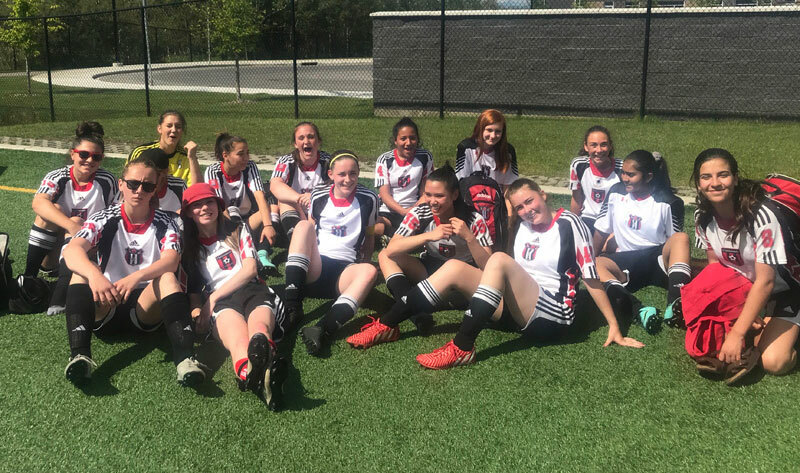 After an undefeated season, Chestermere United FC’s U17 girls’ soccer team have their sights set on winning at provincials. With a record of 11 wins and one tie in the regular season, they are ready to focus on the Alberta Soccer Association Provincials are on Aug. 10-12 in Edmonton. “They’ve certainly worked hard over the season to get that achievement,” said Clarke. He said that he and his coaching staff don’t put expectations or conditions on the girls when it comes to results. “It’s their team at the end,” said Clarke. “They know all along its youth soccer, it’s their chance to have fun and enjoy the sport that they want to play,” he said. The team discussed what they wanted out of the season at the start of the year and set their sights on a winning season and gold at provincials. “They set the target at the start of the season that they wanted to do well in the league and obviously try and go for the gold medal at provincials at the end,” said Clarke. As added motivation, this is the last year of competitive soccer for some of the girls. Chestermere United FC doesn’t have enough players to field a U19 team. “They’re on target right now,” he said. Since their goal to win has come from them instead of the coaches, Clarke said that it hasn’t been too hard to keep them focused. And with the competitiveness of the Edmonton teams in the provincial tournament an unknown, the girls will have to be ready to step up and compete. “It’s difficult because you don’t know how they’re going to play,” said Clarke. “You never know realistically what level the Edmonton teams are going to be until you get there,” he said. Another challenge they face is the tournament format. Clarke said that with the way the provincials are designed, it is almost impossible to get to the gold medal game without winning the first game of the tournament. “Realistically if you don’t win your first game you don’t have any chance of making the gold medal game,” he said.